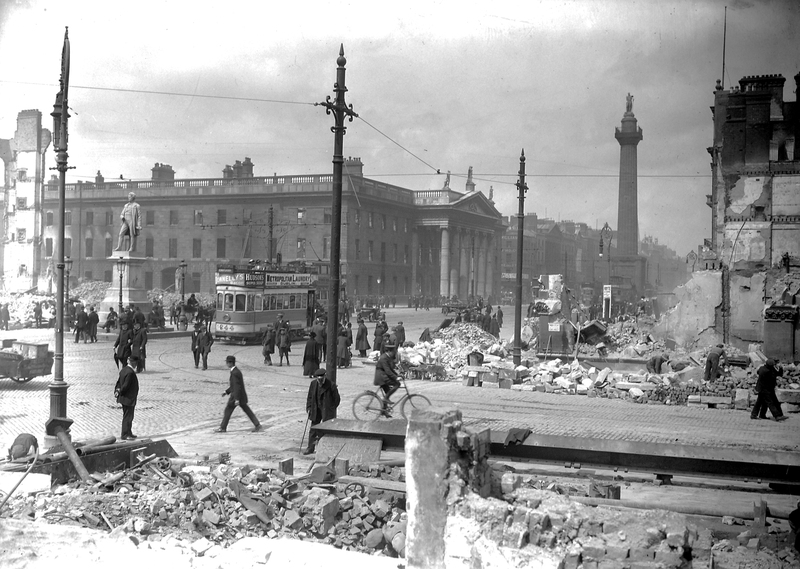 Cork St, The Coombe, Dublin city. 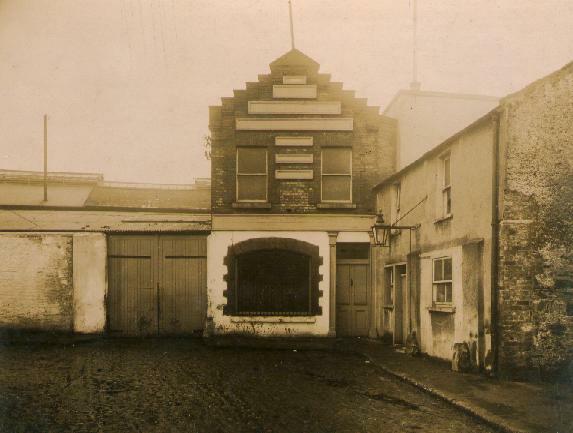 "Tales from a City Farmyard", by Patrick Boland - local history of the Coombe/Cork Street area. This bacon factory was originally Kehoe-Donnelly's (or "Messrs. Kehoe, Donnelly and Co."). "Keogh Brothers" is found on the photo above, but confusingly, this is the name of the photographers, not the name of the factory. Date on the building in the photo above seems to be 1905. 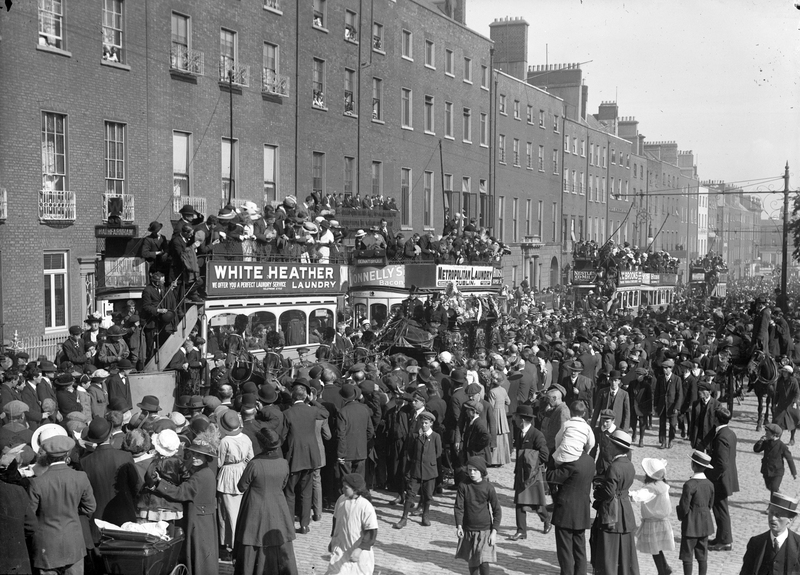 Donnelly's was purchased by Stephen O'Mara 1906, described as a "long-established bacon curing business". James O'Mara came back from England to take over running it 1914. He sold it to his brother Phons O'Mara mid-late 1940s, who ran it. His son Stephen O'Mara then ran it. 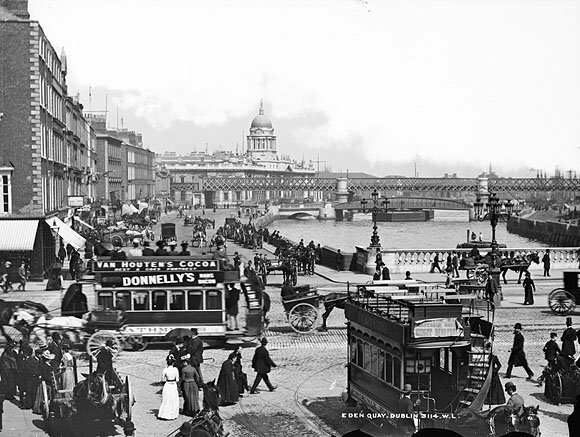 Donnelly (Dublin) Ltd is listed as acquiring some new land from Dublin Corporation as part of a land exchange in 1962. Think this is site of the new building. New building erected probably between 1962 and 1964. Donnelly's got into financial difficulty and went into liquidation 1967. See Irish Times, 21 Mar 1967, p.12. New building is now The Donnelly Centre, Cork Street, Dublin 8 (Self Storage and File Stores). See street view. 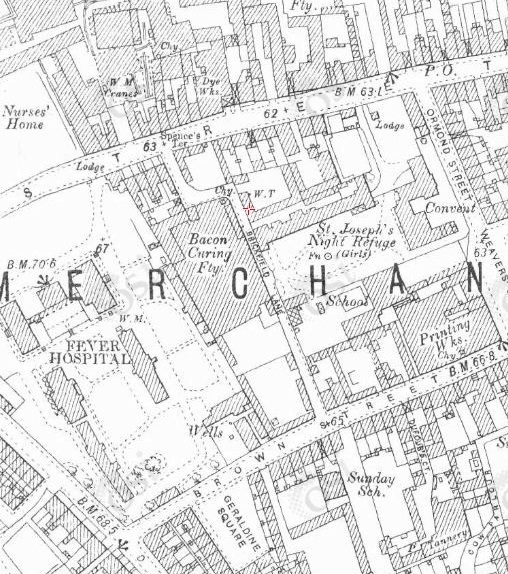 Donnelly's ("Bacon Curing Factory") on 1887 to 1913 map. Looks like Donnelly's bacon ad on tram. 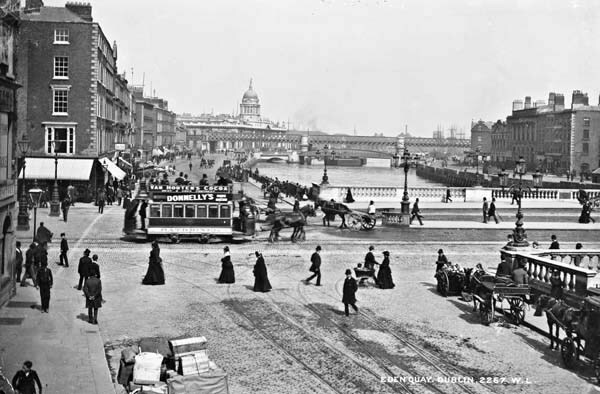 O'Connell Bridge, Dublin, looking down Eden Quay towards the Custom House. 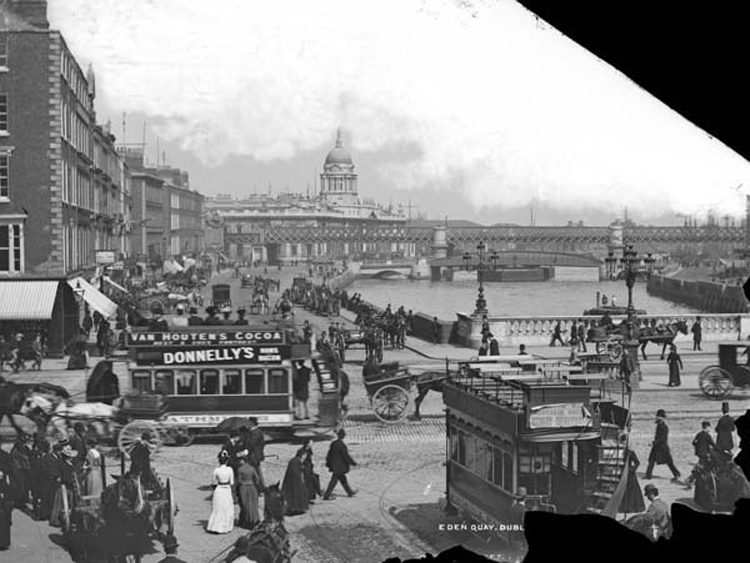 Scan from NLI Flickr, which says photo is c.1897. See other version from NAI. Similar shot. Must be same day as the above. 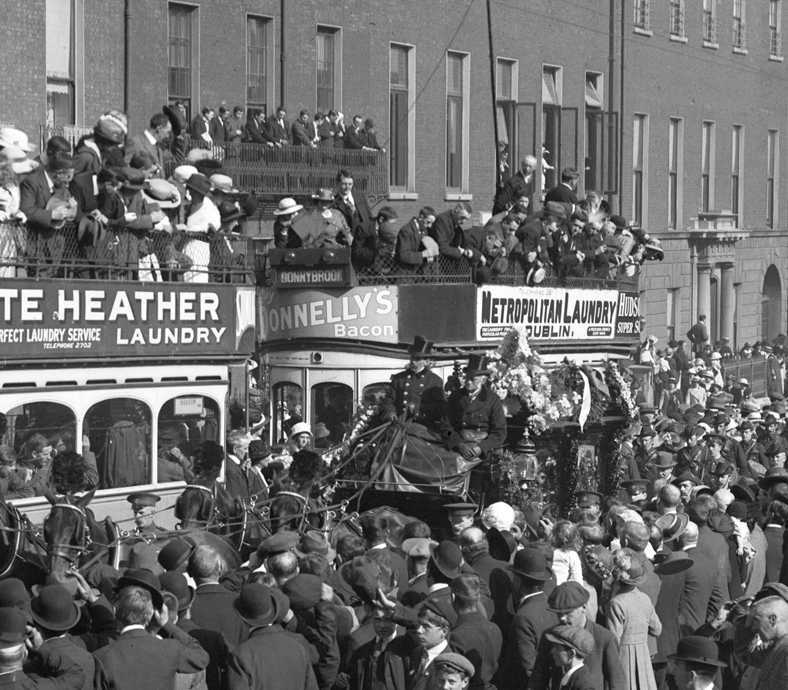 Donnelly's ad on tram at funeral procession of O'Donovan Rossa, at Parnell Square (Rutland Square), Dublin, 1915. 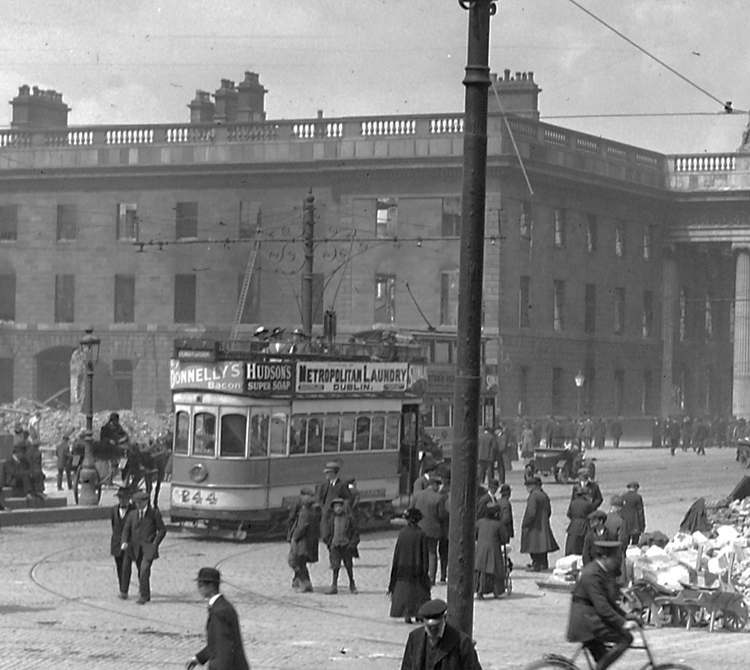 Donnelly's ad on tram on Sackville St in aftermath of 1916 Rising. See also O'Mara's bacon company, Limerick. He worked at Donnelly's until his first conviction in June 1965. Spent his whole life in organised crime. He and his gang assassinated the crime journalist Veronica Guerin in 1996, an attack widely regarded as an assault by organised crime on the Irish state itself. The attack led to the setting up of the Criminal Assets Bureau to target and confiscate the property of organised crime gangs. He died in prison 2009.